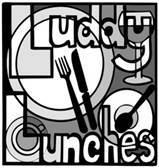 The next Luddy Lunch will be from 1pm on Sunday 16th September at no. 1 Luddington (Wendy & Martin Whitmee). £10 per person – please bring along pudding and / or drinks. To confirm your attendance, please contact Wendy, Pauline or Sarah, by the evening of Friday 14th. Alternatively, contact us here.